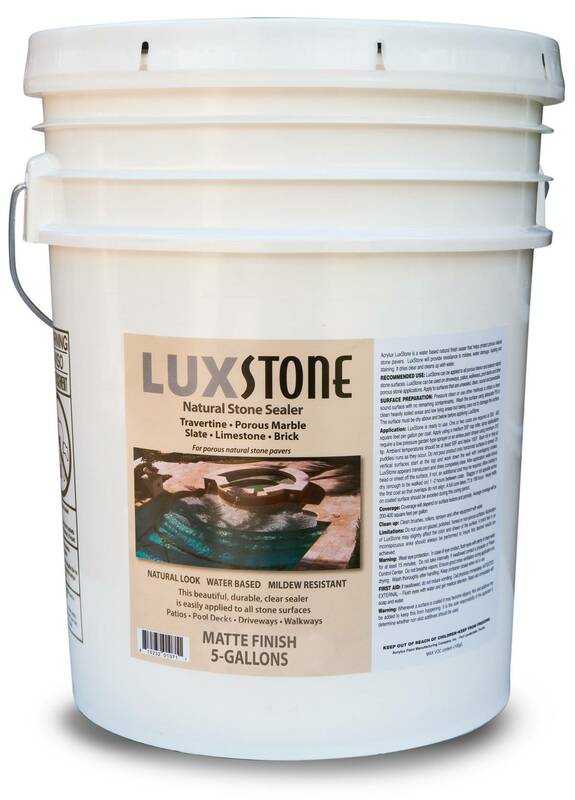 Luxstone is a matte finish water based clear sealer for porous natural stone pavers. Use on travertine, porous marble, slate, limestone, brick and concrete. Luxstone provides resistance to staining, mildew, water damage and whitening. An unsealed natural stone surface will quickly absorb spills like red wine, salad dressing, olive oil and lotions. Luxstone will keep liquids from penetrating and permanently staining your deck surface. Additionally, Luxstone will resist mildew stains and provide protection from pool chemicals and lawn care chemicals. Your natural stone deck is not complete without Luxstone protection.